Vera Walker Obituary - Newport, Arkansas | Jackson's Funeral Homes Inc.
Mrs. Vera (Cole) Walker, 95, of Harrisburg departed this life Thursday, January 9, 2019 in Jonesboro at Flo and Phil Jones Hospice House. Vera was born April 28, 1923 in Harrisburg the daughter of William Easley and Sarah Maude (Renfro) Cole. Vera met and married Mr. William Carl Walker on December 17, 1938. They enjoyed sixty-one years of marriage before his passing in 1999. She was not only preceded in death by her husband, her parents, but also her children: two sons, Earnest and Albert Ray Walker and one daughter, Shirley Stropes, several brothers: Moss and Lamar Kyle and several sisters: Mary Collins, Lollie Davis, Alma Webster, and twin sister, Era Harkey. 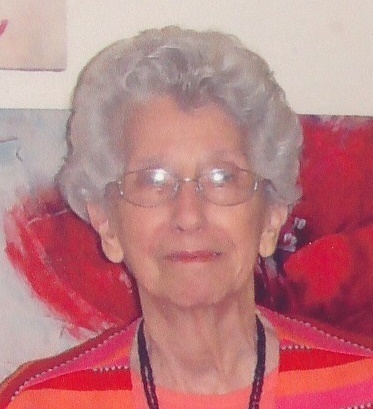 Vera worked many years at Johansen Shoe Manufacturing Company in Harrisburg, was an active member in Pleasant Hill Baptist Church for many years, enjoyed her church family, cooking, and time spent with her family. Vera is survived by two granddaughters: Lisa Butler and Jenny Stropes both of Memphis, two grandsons: Kevin and Keith Walker of Texas, six great-grandchildren, four great-great-grandchildren, a special nephew, Lance (Deronda) Collins of Harrisburg, and niece, Shelia O’Brien of Trumann, Arkansas. Funeral services are 2:00 Sunday, January 13, 2019 at Jackson’s Funeral Home with visitation Saturday from 6:00 ~ 8:00 P. M. Bro. Matt Travis will conduct the service and these people will serve as active pallbearers: Terry Harkey, Gary Harkey, Donnie O’Brien, Scotty Hisaw, Brian Harkey, and Hunter McGill. Interment will be in Holly Springs Cemetery. Arrangements are by Jackson’s Funeral Home.